At IAA Cars 2017 in Frankfurt, we showed how Kanzi Connect can be used to integrate the user interfaces on multiple devices, regardless of hardware platform or operating system, into a single, extended, logical HMI UI. We have previously shown with our Multi-Display demonstrator how any number of devices can be set up to mirror each other, and also how objects can be dragged seamlessly from one device to another. For this update, we introduced widgets representing different content, and we showed how these objects can adopt the visual theme of the target device on the fly. This demonstration really sets the imagination running, as services, apps, and other in-vehicle infotainment (IVI) functions could be flung from screen to screen. A driver or front-seat passenger could choose content and then fling a media or music player to rear-seat passengers. Or rear-seat passengers could interact with independent content, move content from screen to screen, or mirror their screens to enjoy content together. 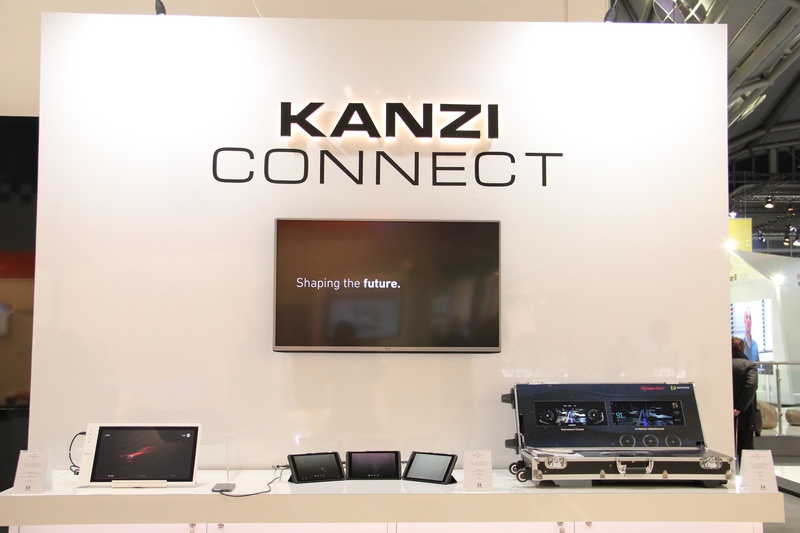 In a less interactive scenario, the underlying technology, Kanzi Connect, could simply treat multiple displays as one extended user interface. This would allow content to wrap across the dashboard and door displays, for example, independent of the platforms and operating systems powering those displays. Learn more about Kanzi Connect here. To request a trial license for Kanzi, please visit www.rightware.com/kanzi/trial/.